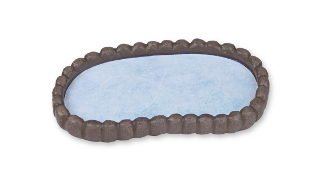 This mini fairy garden frozen pond designed by Genevieve Gail features all-weather paint and a unique distressed finish. It's the ultimate short track! Dimensions: 2.5 x 4.5"h.